RENO, NV (October 3, 2018)-- SpineNevada, a regional leader in comprehensive spine and musculoskeletal (MSK) care, is proud to announce its recognition as one of the Top 15 providers to work in Modern Healthcare’s 2018 National Best Places to Work in Healthcare program. The complete ranked list of 2018 winners is available here. 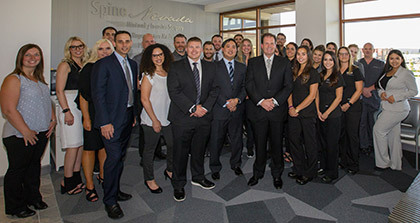 Spine Nevada was the #1 Private Practice and #1 Spine Center on Modern Healthcare’s list. Read the complete release here. 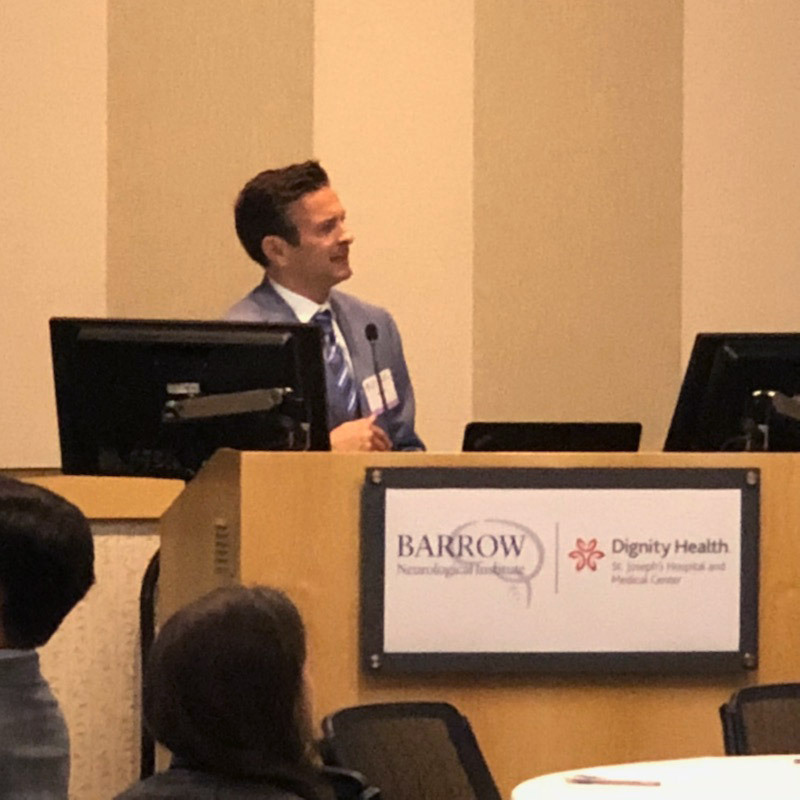 Dr. Edward Perry of Spine Nevada presented at the American Association of Neurological Surgeons (#AANS) / Neurosurgery Research and Education Foundation (#NREF)'s Senior Residents' Course on MIS and Emerging Spinal Technologies course last week. The conference was held at Barrow Neurological Institute in Phoenix, AZ. Dr. Perry lectured on the Titan Spine nanoLOCK® Surface Technology: Utilizing Nanotechnology to Improve Clinical Outcomes Following Interbody Fusion Surgery.” It was a dynamic educational opportunity for the attendees. Congratulations to Dr. Perry, we are pleased to have you on our TEAM!! Learn more about Dr. Perry, please click here. At the 16th Annual Becker's Spine Conference, James Lynch, MD, fellowship-trained spinal neurosurgeon and founder of SpineNevada, discussed how independent orthopedic and spine practices can survive in an increasingly competitive market. Patient education was a focus of Dr. Lynch during his keynote presentation. "To give patients a high value, high satisfaction experience, we need to be teaching patients they don't need to go to the emergency room for a cut finger, and we need to get them to focus on getting care in the right facility. In all this reform, we lost sight of getting patients to focus on primary care, and that's the most important thing." Nate G., a reviewer of the presentation stated, "James Lynch’s keynote session was highly entertaining and he had some intriguing ideas for adding ancillaries. It was great seeing the work and successes that they have realized at SpineNevada." Dr. Lynch's keynote was also a topic of a recent Becker's Spine article, to read more, please click here. 05-30-2018 - (May 30, 2018) Reno, Nevada --SpineNevada, a regional leader in comprehensive spine and musculoskeletal care, is proud to announce its recognition by Modern Healthcare’s 2018 Best Places to Work in Healthcare program. Modern Healthcare will publish a special supplement featuring ranked lists of all the winners along with the October 1 issue. To read the complete release, please click here. 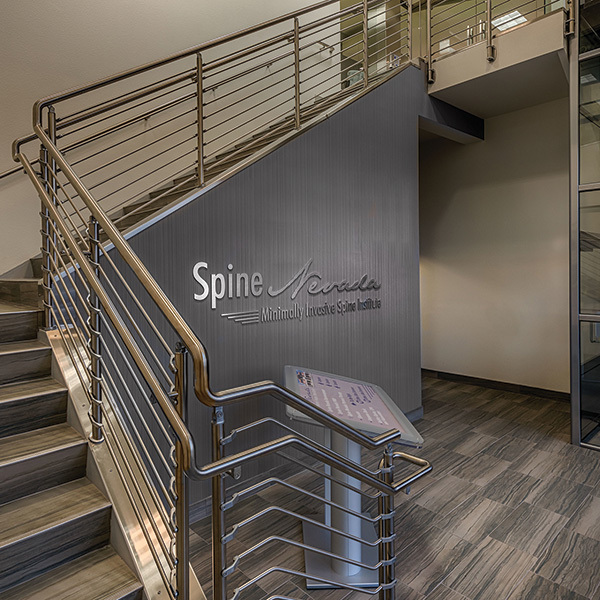 11-06-2017 - (November 6, 2017) Reno, Nevada --In order to better serve Northern Nevada communities, SpineNevada Minimally Invasive Spine Institute recently opened a new office in South Reno. The new office is located at 825 South Meadows Parkway, Suite 103 in Reno, in a free standing building shared with South Meadows Dental. 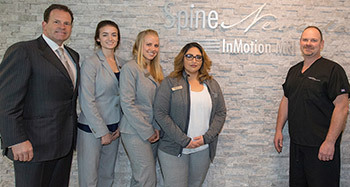 Services available at the spine and musculoskeletal office include a medical clinic with physical medicine physicians and nurse practitioners as well as an InMotion Open MRI, a weight-bearing and tiltable MRI specifically designed for imaging the spine and musculoskeletal body parts. 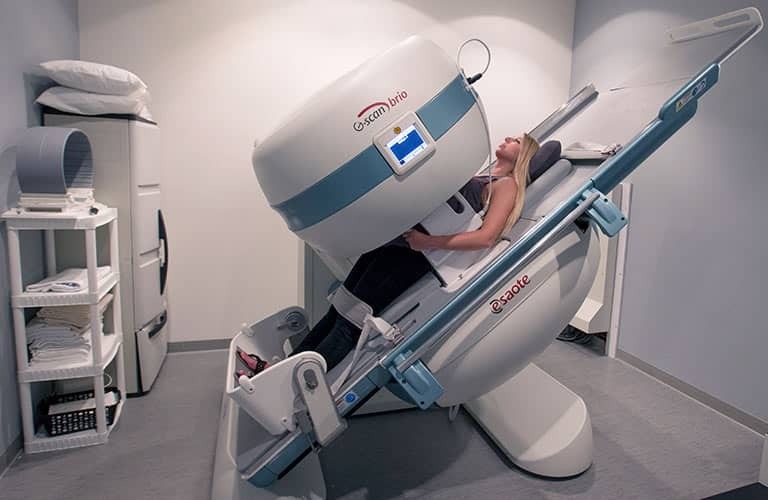 This is SpineNevada's 2nd office to offer the InMotion Open MRI, the first weight-bearing MRI was introduced in 2015 at the Sparks office on Vista Blvd. To learn more, please click here. 11-01-2017 - (November 1, 2017) RENO, NV --SpineNevada Minimally Invasive Spine Institute, a center of excellence for spine and musculoskeletal treatment in Northern Nevada, is pleased to announce the recognition by Modern Healthcare to the national listing of Best Places to Work in 2017. The center was ranked #2 overall in the providers and insurers category presented by Modern Healthcare. SpineNevada garnered the top, #1, private practice spot on this year's Best Places to Work list among providers and insurers. This is the center's 3rd consecutive year on the list. To learn more, please click here. RENO, NV (March 22, 2017)-- On March 7, Dr. James Lynch became the first surgeon in Nevada to use Titan Spine’s nano surface technology for ALIF and XLIF procedures. The Titan Spine surface promotes differentiation into bone-forming cells. This increases bone production around the implant site and increases the potential for a faster and more robust fusion. 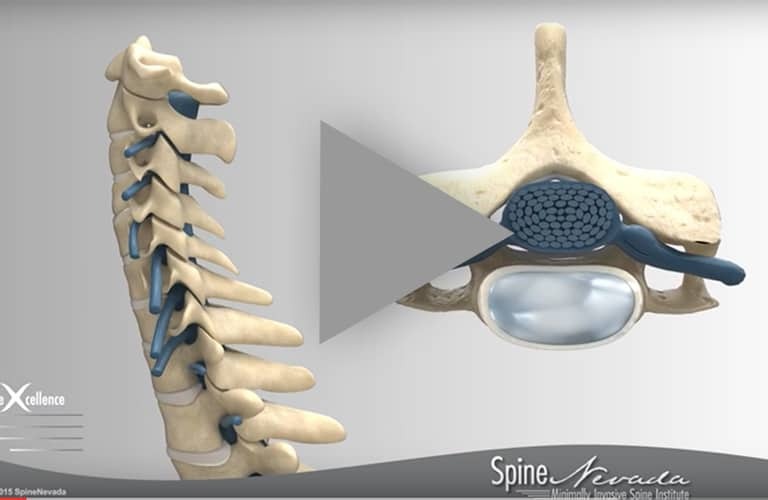 In addition, the cellular process set in motion by the Titan Spine nano surface technology compells the body to produce and regulate its own BMP at the key stages of the fusion process. This supports new bone growth without requiring the use of external BMP. To read more, please click here. RENO, NV (March 2, 2017)--SpineNevada Minimally Invasive Spine Institute is pleased to release that the multidisciplinary spine center has been recognized in Becker’s Hospital Review’s “150 Top Places to Work in Healthcare | 2017” list. The list recognizes organizations committed to fulfilling missions, creating outstanding cultures and offering competitive benefits to their employees. This is SpineNevada’s second consecutive year to achieve this recognition. To read the complete release, please click here. 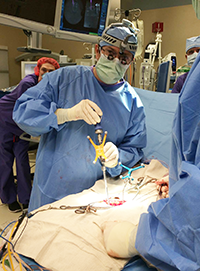 On February 23, 2017, a SpineNevada Fellowship-Trained Spine Surgeon, Dr. Edward Perry, performed the MLX (Medial Lateral Expandable) Lumbar Interbody Fusion on a male patient using the NuVasive MLX system at Renown Regional Medical Center in Reno, NV. This is the first time this system has been used in Nevada and second case in the United States. "The MLX cage maximizes the surface area for interbody fusion, which is the entire purpose of interbody implant placement, and it's engineering reduces complications of implantation. It is the best merging of mechanical and biologic functioning on the market today," Dr. Perry explained just hours after the procedure. To read the complete release, please click here. The spine surgeons featured in this Becker's article entitled "21 Smart Spine Surgeons with Gifted Business Minds" excel outside of the operating room, driven by their entrepreneurial spirit into the business of medicine. 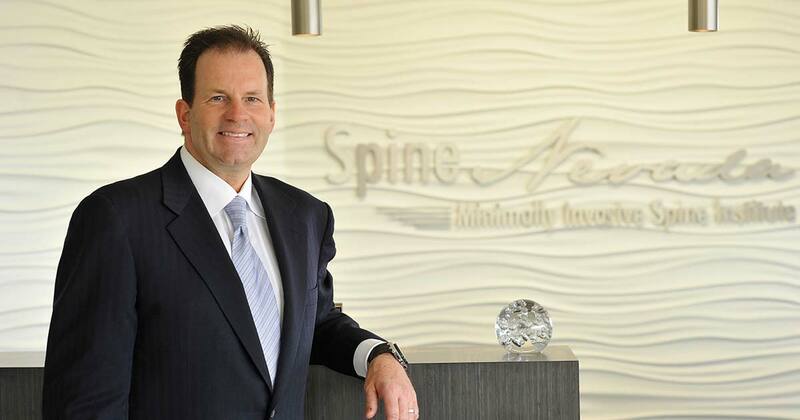 Founder of SpineNevada, Dr. Lynch has positioned himself as a minimally invasive spine surgery and outpatient spine surgery expert. A partner and director of Regent Surgical Health's Spine Services, Dr. Lynch helps the company develop ambulatory surgery centers and hospitals. To read the complete article, please click here. The CR Johnson Healing Center is a 2,800 sq/ft work out facility located at the office of the High Fives Foundation. 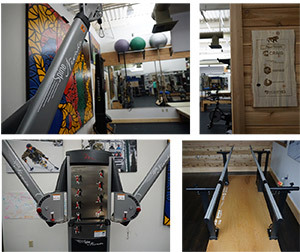 The center is open seven days a week and offers healing services such as personal training, physical therapy, acupuncture, massage, and Pilates. It houses some specialized technology that can help an athlete walk again, including a bicycle that uses electrical stimulation for paralyzed people to pedal. Athletes often begin their therapies at specialty centers like SpineNevada. Dr. Lynch is the Medical Director for High Fives Foundation. SpineNevada physical therapists, Thais Mollet, PT, DPT and Torrey Schweickert, PT, MSPT, provide rehabilitation services to HFF athletes. After recovering to a point, athletes are encouraged to continue advancing their recovery with sessions at the CR Johnson Healing Center. In 2016, SpineNevada recognized and fulfilled a need for additional equipment at the CR Johnson Healing Center. The new FreeMotion equipment displays the SpineNevada logo. To learn more about CR Johnson Healing Center and High Fives Foundation, please click here. 10-07-2016 - (October 7, 2016) RENO, NV - SpineNevada Minimally Invasive Spine Institute, a center of excellence in Northern Nevada, has been named to Modern Healthcare’s Best Places to Work in Healthcare for 2016. The spine center was ranked #35 of 100 in the national recognition presented by Modern Healthcare. In addition, SpineNevada was the #1 spine practice and the #1 practice in the small provider / insurer category (25-249 employees). “It’s a special privilege to have been named to Modern Healthcare’s Best Places to Work list for the second consecutive year,” said SpineNevada Founder and CEO James J. Lynch, MD. “We strive to develop a culture focused upon teamwork and mutual respect— we believe this is key to a successful organization. It’s a great pleasure to share this national recognition with each SpineNevada team member. When you invest in a positive work experience for the clinical staff, positive patient satisfaction will follow.” To view the complete list in alphabetical order, please click here. Read the complete press release here. Congratulations to the USA Track Cycling Team for winning 2 Silver Medals in Rio!! Spine Nevada's own Thais Mollet, PT, DPT traveled to the Rio 2016 Olympic Games with the USA Track Cycling Team. While in Rio, Thais helped the Track Cycling Olympic athletes stay in top form and injury free. 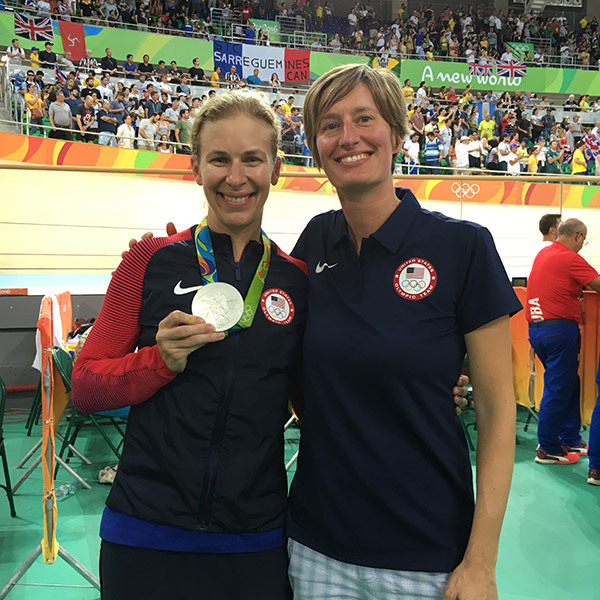 Read more about Thais Mollet, PT, DPT, and the 2016 USA Track Cycling team at the Summer Olympics, please click here. Earlier in 2016, Thais Mollet, PT, DPT traveled to the London UCI Track World Championships. She has helped treat team members leading up to the championships and Olympic games. The competition in 2016 was the first time in American history, male or female, that USA team pursuit secured the World Champion status. 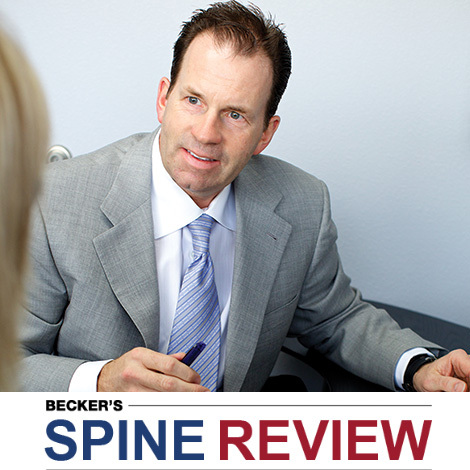 The spine surgeons recognized in the Becker's Spine Review list excel outside of the operating room also and are driven by their entrepreneurial spirit into the business of medicine. Congratulations to Spine Nevada's Dr. James Lynch, recently recognized as one of "21 Smart Spine Surgeons with gifted business minds!" Read more, please click here. 07-19-2016 - (July 19, 2016) RENO, NV - SpineNevada Minimally Invasive Spine Institute, a center of excellence in Northern Nevada, has been named to Modern Healthcare’s Best Places to Work in Healthcare for 2016. SpineNevada was the only spine center in Nevada recognized with this honor. 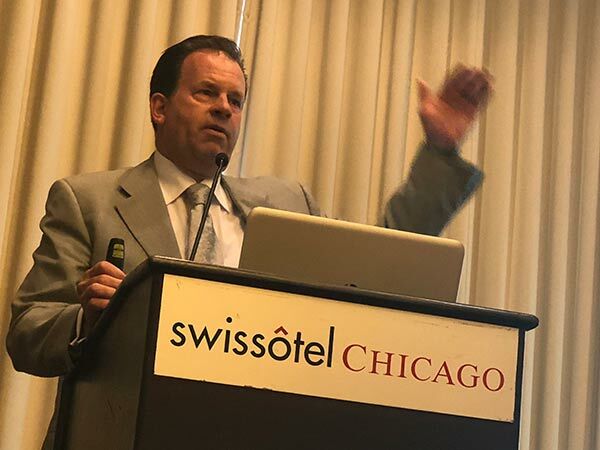 In June at the 14th Annual Becker's Spine, Orthopedic and Pain Management-Driven ASC Conference in Chicago, Dr. James Lynch together with three other spine surgeon leaders discussed independence and the healthcare landscape. During the panel, Dr. Lynch emphasized the importance of differentiating the spine practice to both patients and payers. Demonstrate you are "doing something different and you have a commodity and not just a surgical service," said Dr. Lynch. Read more about the panel discussion, please click here. 06-11-2016- RENO, NV -- Reno 1868 FC unveiled its official team jersey kit during a special ceremony at halftime of tonight’s United Soccer League match between Real Monarchs SLC and Sacramento Republic FC at Greater Nevada Field. SpineNevada becomes the inaugural title jersey sponsor for Reno 1868 FC as the Northern Nevada-based comprehensive spine center of excellence has signed a multi-year partnership with the United Soccer League club. 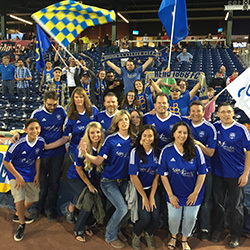 The SpineNevada physicians will serve as the official te am physicians for Reno 1868 FC. The multidisciplinary center is based in Reno with additional facilities in Sparks and Carson City. Read the complete release, please click here. 03-23-2016- RENO, NV - SpineNevada Minimally Invasive Spine Institute is pleased to announce the center has been recognized as one of Becker's Hospital Review's Great Places to Work in 2016. The Northern Nevada center is one of five Physician Practices / Medical Groups selected for the honor. The Becker's Healthcare editorial team selected this year's list based on the organizations workplace excellence, as well as benefits offerings, wellness initiatives, and efforts to improve professional development, diversity and inclusion, work-life balance and a sense of community among employees. To learn more about the recognition, please click here. 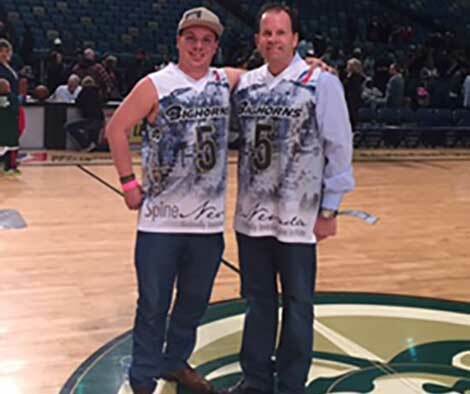 Reno, Nevada--The Reno Bighorns and SpineNevada hosted a Charitable Jersey Night on Friday, February 5 to benefit the High Fives Non-Profit Foundation. The Bighorns hosted the Idaho Stampede on February 5 at the Reno Events Center. Bighorns players wore custom Bighorns/SpineNevada jerseys. The in-game auction featured the custom mountainscape jersey with the top 10 overall bidders receiving the jerseys the following week. High-Fives Foundation supports the dreams of mountain action sports athletes by raising injury prevention awareness while providing resources and inspiration to those who suffer life altering injuries. Read the RGJ Good News article here. To learn more about High Fives Foundation, please click here. 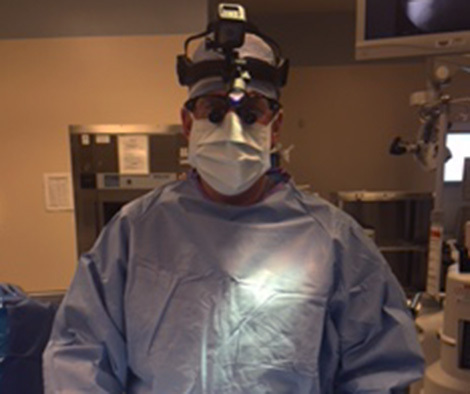 Dr. Lynch is an early adopter of the latest in high tech illumination technology, he is now using the TKO Chrome model cordless headlight in the clinical setting. He was an early pioneer and adopter of TKO Freedom cordless headlight for the operating room 4 years ago. Dr. Lynch has also added a GoPro - HERO4 Session Camera to the top mount of the TKO for intra-operative video recordings of his surgical procedures. Learn more about Dr. Lynch here and MIS at Spine Nevada here. 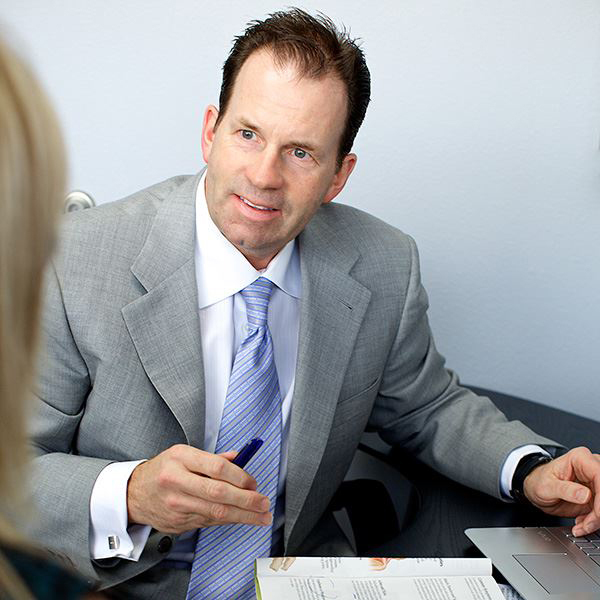 Learn more about Dr. Lynch and minimally invasive surgery at SpineNevada here. 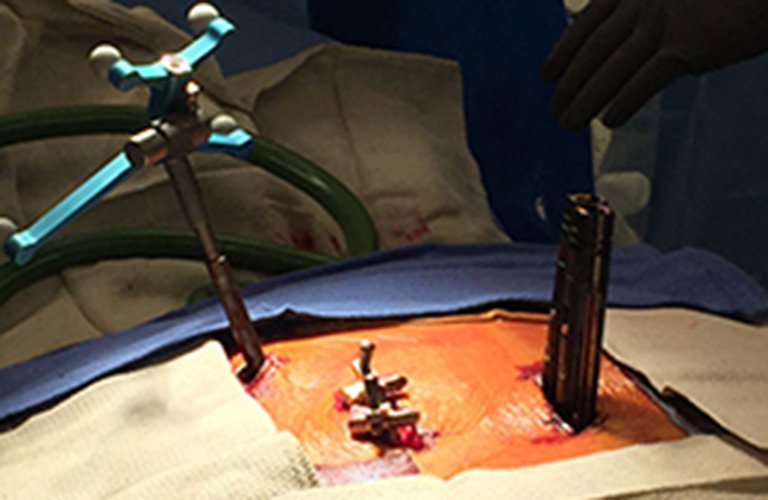 Reno, Nevada--Dr. Edward Perry, a fellowship-trained neurosurgeon at SpineNevada, is the first surgeon in Nevada to perform a multilevel minimally invasive surgery (MIS) Oblique Lateral Interbody Fusion (OLIF) for degenerative lumbar spine disease. The OLIF procedure was performed by Dr. Perry using O-arm stealth guidance technology that minimizes the incision size and allows precise implant placement. Following the OLIF, Dr. Perry completed a necessary posterior fusion using the O-arm in July 2015. Within 8 weeks, Thomas was back to work as a high school football coach and nearing complete pain relief. In contrast to traditional spine surgery, the OLIF technique (Medtronic®) allows the specially trained surgeon to avoid interrupting the psoas muscle — in turn eliminating related nerve injury within the muscle. Image below demonstrates the lumbar curve correction provided by the OLIF procedure, from a 23 degree curve pre-surgery to a 36 degree curve post-surgery. Learn more here. Reno, Nevada--Dr. James Lynch was recently named to Becker's Spine Review's listing of "Spine Surgeon Leaders to Know" in 2015. James Lynch, MD, is a board-certified neurosurgeon, performing more than 500 spine surgeries annually in hospital and outpatient surgery centers. He is recognized for his expertise in spine surgeries in ASCs. Specializing in complex spine surgery, cervical disorders, degenerative spine, spinal deformities, trauma, tumor infection and minimally invasive spine surgery, Dr. Lynch also performs endoscopic spine surgery techniques. 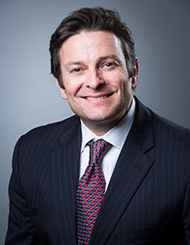 A fellow of the American Association of Neurological Surgeons, Dr. Lynch is also a part of the Society of Minimally Invasive Spine Surgery and Society of Lateral Access Surgery. 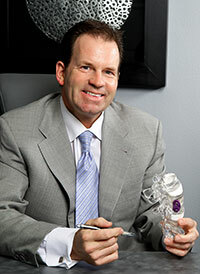 He is also committed to reducing implant costs, and is a board member of the Orthopaedic Implant Company. Please click here to learn more about Dr. Lynch. Becker's Healthcare is the leading source of cutting-edge business and legal information for healthcare industry leaders. The Becker's Healthcare portfolio includes five industry-leading trade publications, one of which is Becker's Spine Review. SpineNevada is pleased to announce it has been named to Modern Healthcare's list of Best Places to Work in Healthcare. On August 21, 2015, Modern Healthcare released the annual Best Places to Work recognition. SpineNevada is proud to announce it is among the 100 companies recognized in the list. SpineNevada was the only spine center in Nevada to be included in Modern Healthcare's 2015 list. Please click here to read the complete press release. The ranked order will be announced in October, please check back for more details. The Modern Healthcare 2015 Best Places to Work list can be viewed here in alphabetical order. Earlier this year, SpineNevada was awarded 1st Place in the 2015 Northern Nevada Best Places to Work program. Jacob “Jake" Schick shares his harrowing experience in this short film, but continues to demonstrate an inspirational and unbridled optimism about his future despite his losses. Jake Schick | Marines To The Mountains from Squaw Valley | Alpine Meadows on Vimeo. 05-01-2015 - (May 1, 2015) RENO, NV - At the Best Places to Work award ceremony on Thursday, April 30, 2015, SpineNevada Minimally Invasive Spine Institute was awarded First Place in the Best Places to Work Small Business category. Congratulations to the entire Spine Nevada team!! Read more here. Dr. Edward Perry recently became one of first spine surgeons to use new O-arm imaging technology at Renown Regional Medical Center in Reno. Reno, Nevada, March 2, 2015 -- Dr. Edward Perry was the second surgeon to use the O-arm Surgical Imaging System at Renown Regional Medical Center. The O-arm, as the term implies, circles the operating table, and provides 3D images of the spine to the spine surgeon before and during the spine surgery. 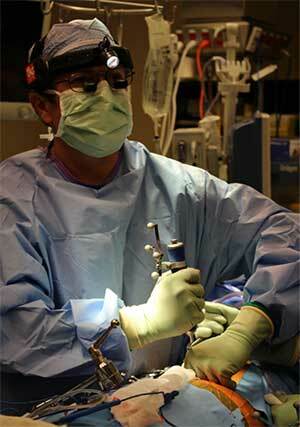 The guidance of the O-arm system allowed Dr. Perry to perform a successful revision spine surgery. 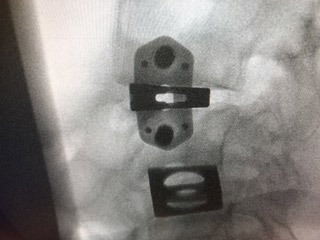 Dr. Perry removed failed hardware from a previous spine surgery performed by another surgeon and completed a stabilizing lumbar spinal fusion. The procedure was successful and the patient left the hospital happy. The O-Arm Surgical Imaging System provides surgeons with real-time 3D images and 2D images. The technology allows surgeons to more precisely perform complex spine surgeries and revision surgeries while using a minimally invasive incision. Please click here to learn about the O-arm technology in Reno. SpineNevada is a regional center of excellence for back and neck conditions based in Northern Nevada with offices in Reno, Sparks and Carson City. The center includes board-certified physical medicine physicians, along with fellowship-trained spinal neurosurgeons and spine specialized physical therapy. Please click here to learn more.